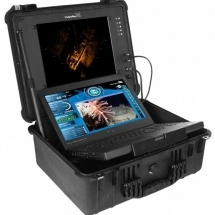 The Pro 4 Plus BASE system includes a Pro 4 submersible, Pro 4 Integrated Control Box (ICB) with a high performance Dell computer loaded with VideoRay Cockpit control software, secondary 15″ Hi-Bright daylight viewable display, and an industrial hand controller. 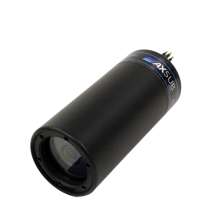 This system has enhanced processing power and is BlueView sonar ready (sonar not included). 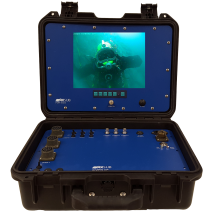 The VideoRay Pro 4 is the culmination of over a decade of ROV design and development. 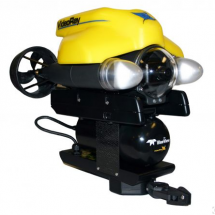 Building off the success of the VideoRay Pro 3 model, the Pro 4 incorporates the latest in small ROV design and technology making it the most advanced, capable, and versatile small ROV on the market today. Completely computer driven by a sleek, intuitive, and powerful new software platform called VideoRay Cockpit, the Pro 4 is more advanced than anything else offered in its class. With the Pro 4 ROV hardware in position, incorporating new features such as vehicle autonomous control, the latest imaging sonar and positioning hardware and software, or a variety of other sensors and tools developed around the size and capability of the Pro 4 couldn’t be easier. Following VideoRay’s proven ideals of making the ROV systems and accessories “plug and play”, capabilities can be added or subtracted with either a simple software update or a quick hardware add on in the eld – all without the system being sent back to the factory.